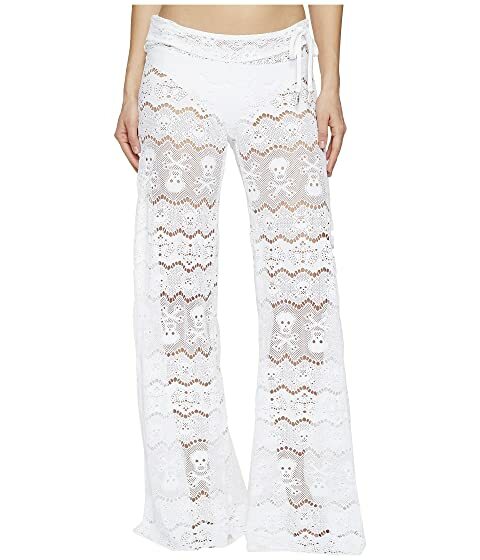 We can't currently find any similar items for the Skull Lace Pants by Letarte. Sorry! These pants are so darling. But they are pretty long. I'm 5'8" with very long legs and I still was tripping up on them a bit. By the end of day 1 on spring break the cuffs were pretty dirty But the wow factor is so cute. The skulls are so unexpected.